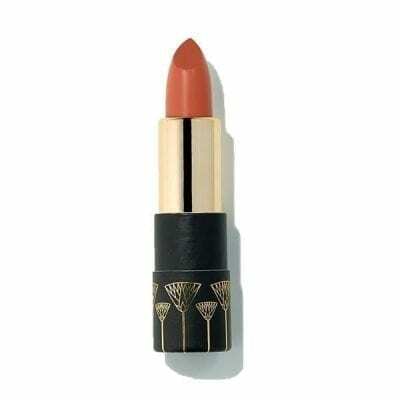 Party-themed lipsticks, there’s one for every occasion. 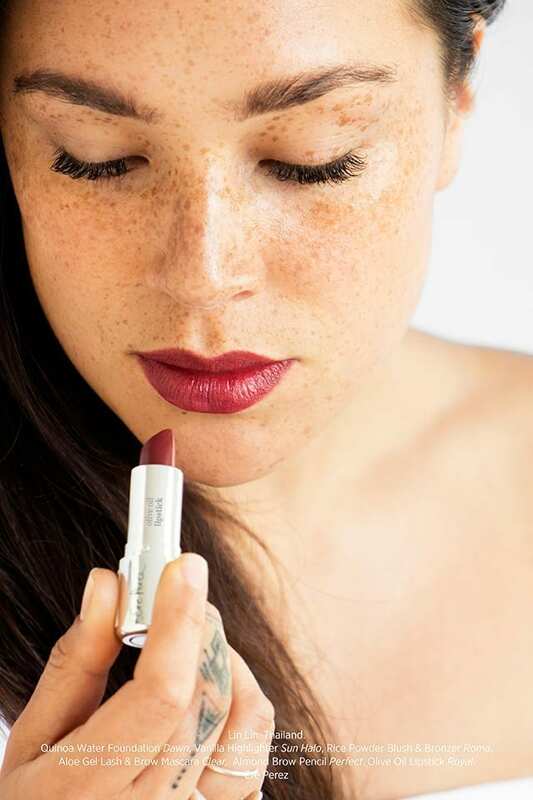 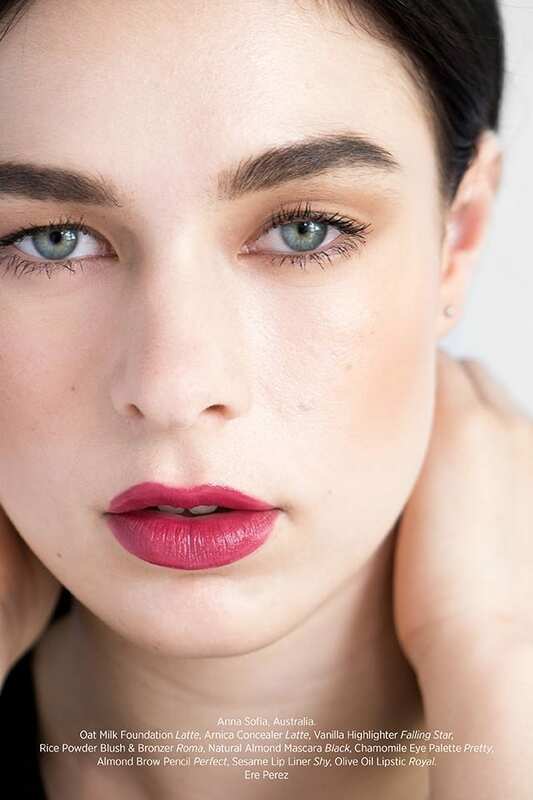 Naturally full colour, vegan lipstick uniquely formulated with olive oil to help moisturise and hydrate your lips. 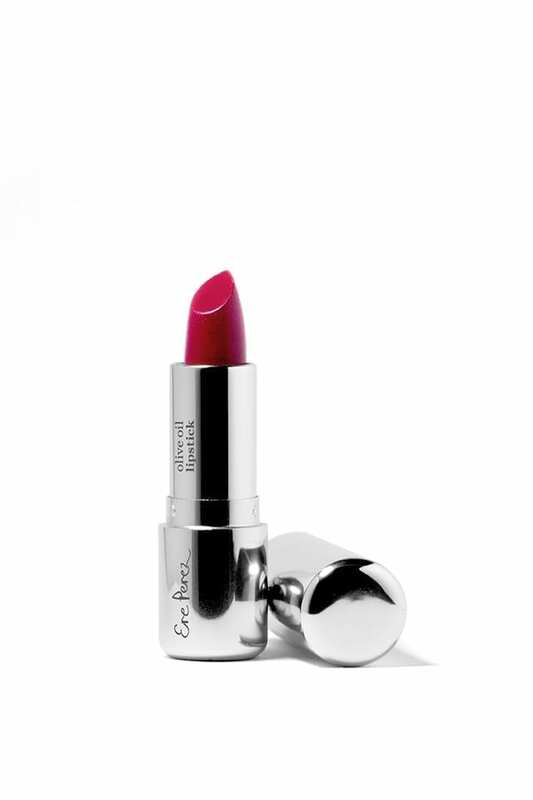 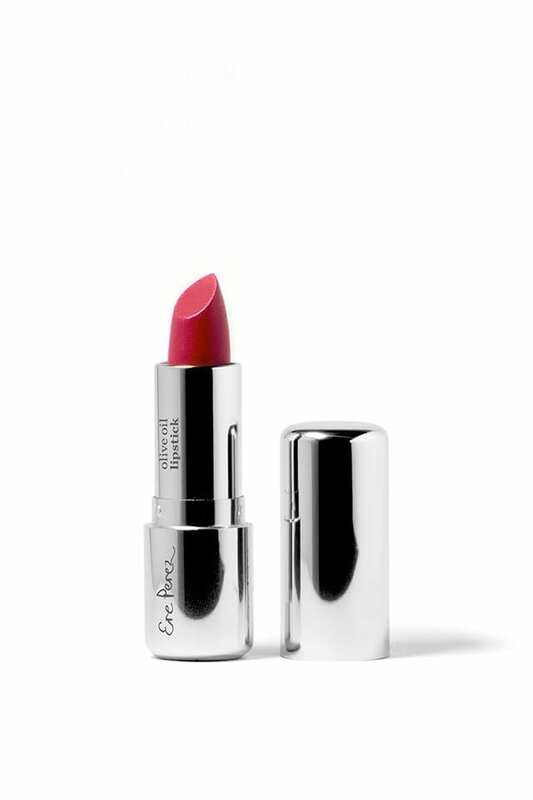 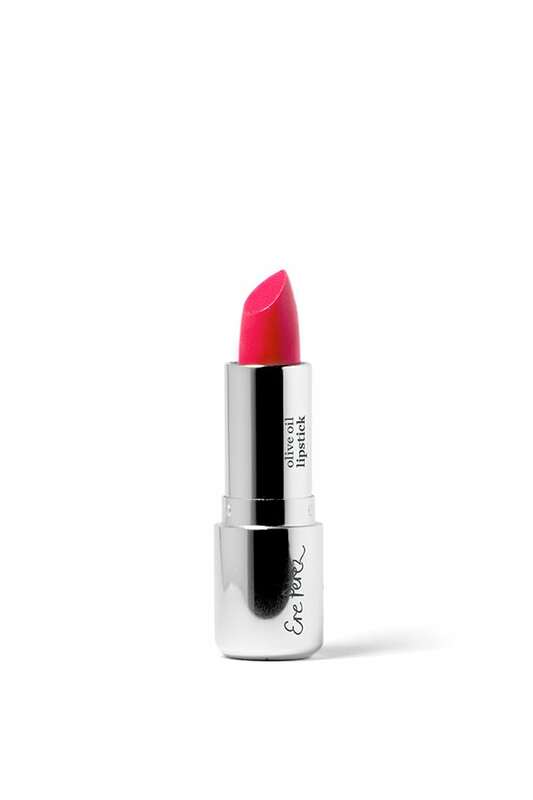 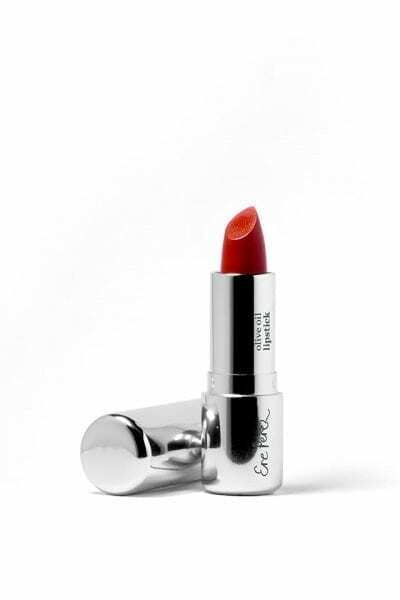 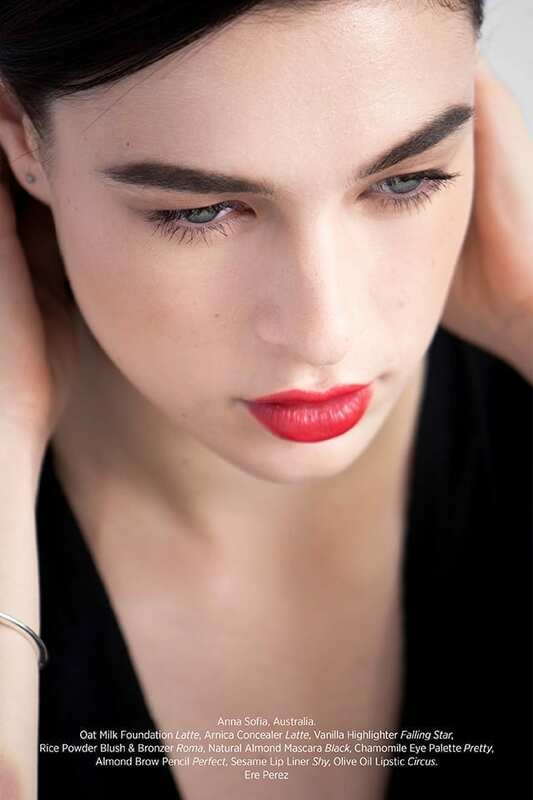 One of the only natural lipsticks that does not dry out lips or flake, just pure smooth colour. A full range of shades to suit all complexions. Find your favourites and you’ll be smiling. Available in 14 shades. 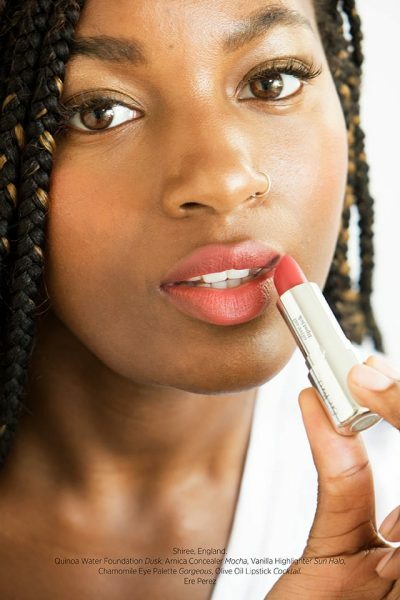 These lipsticks go on a clean, dry lips at the last step in your beauty routine. 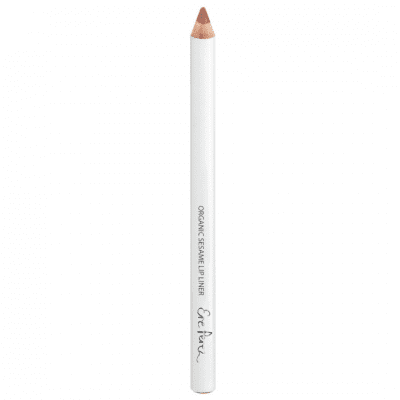 You can start by lining the lips with the Ere Perez sesame lip liners or skip that step. 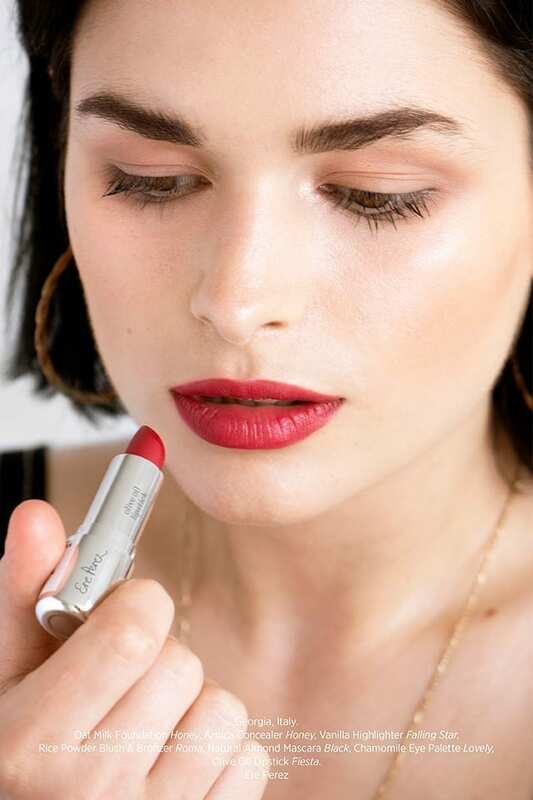 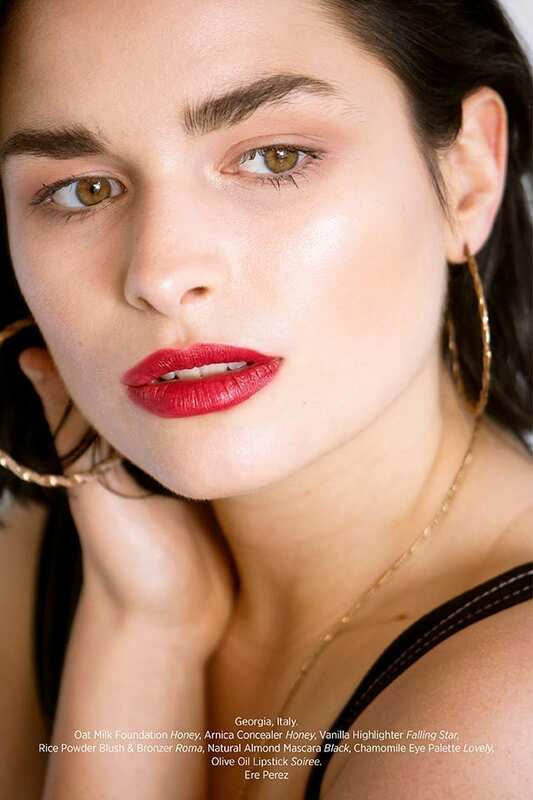 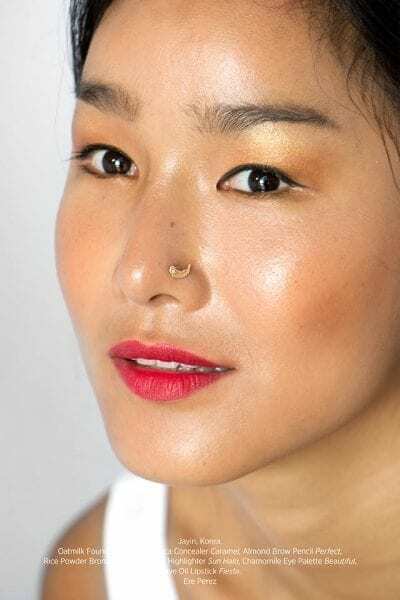 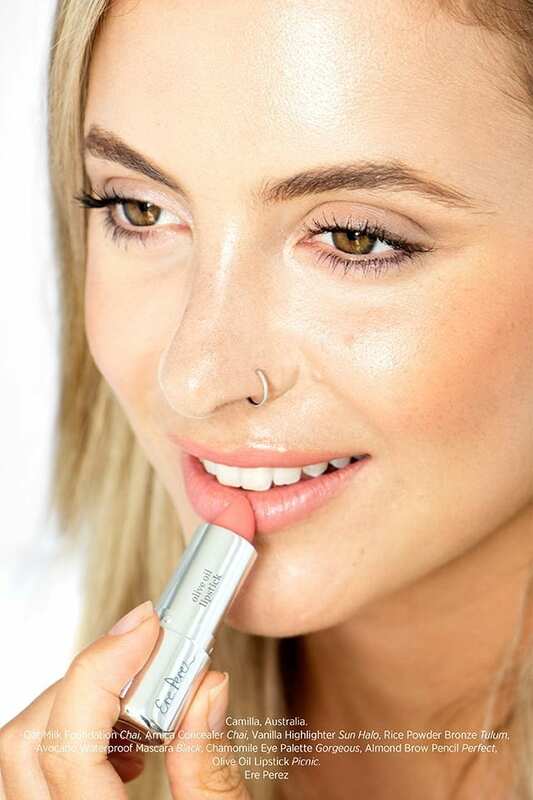 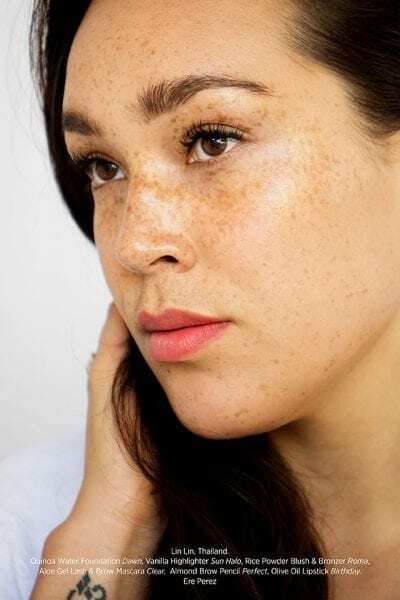 To apply, smooth lipstick over top and bottom lips, starting in the middle of each lip and working outwards, applying less at the corners of the mouth. 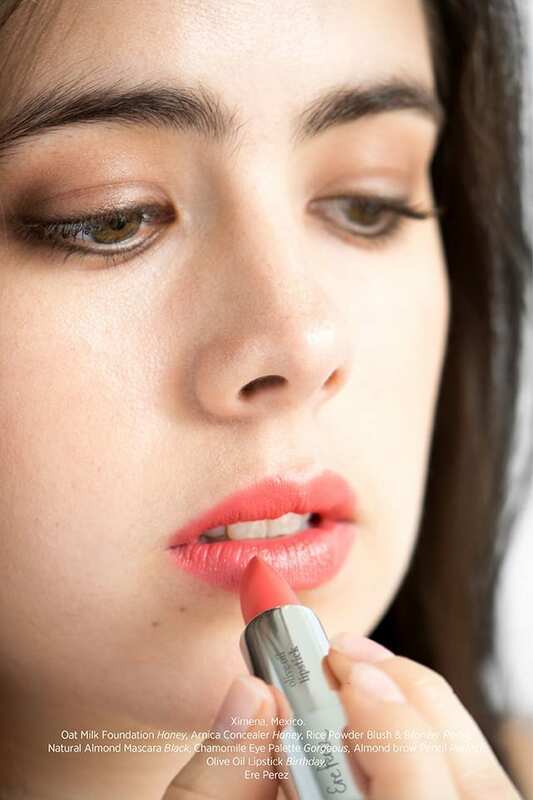 Rub lips together and apply a second layer if you desire. 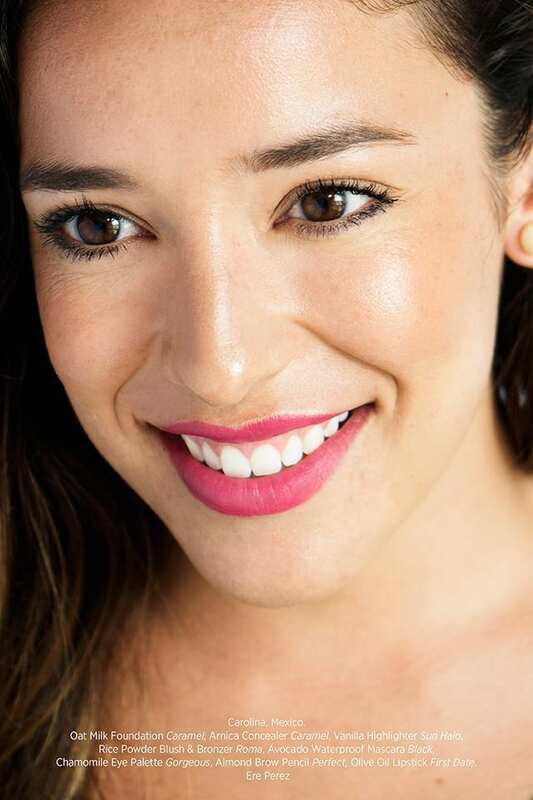 A layer of gloss or shine can be added over the top if you like a slick look.